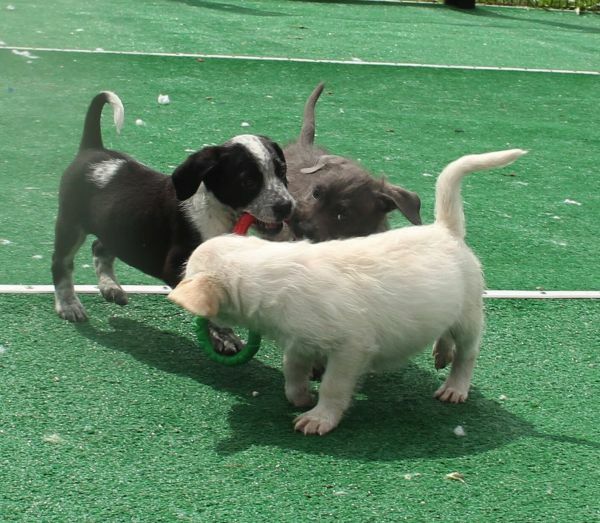 These five darling girls came to the shelter with their lovely mother, Babe. 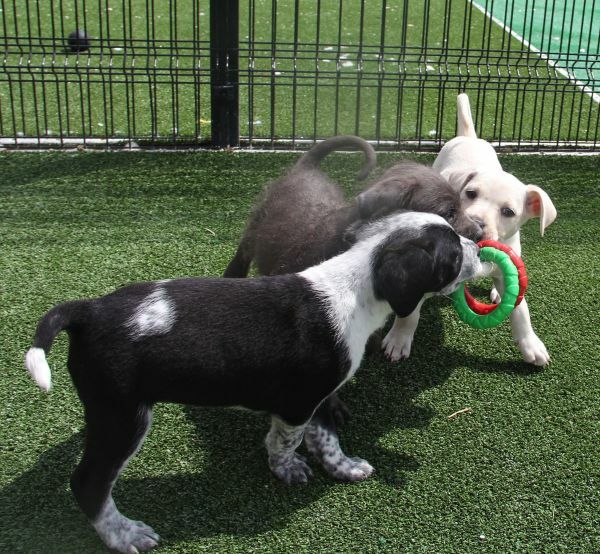 They are all silly, fat-bellied, loving little creatures who are all about a good time. 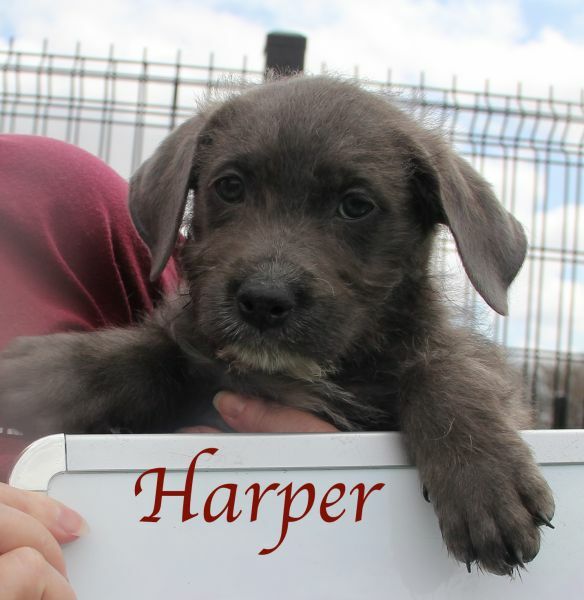 Babe is a small black Lab mix but we have no idea who Papa was. 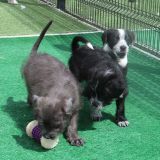 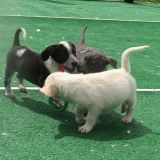 We think the sweet babies will weigh about 25 pounds once they are fully grown. 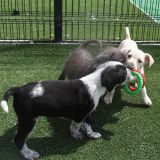 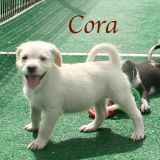 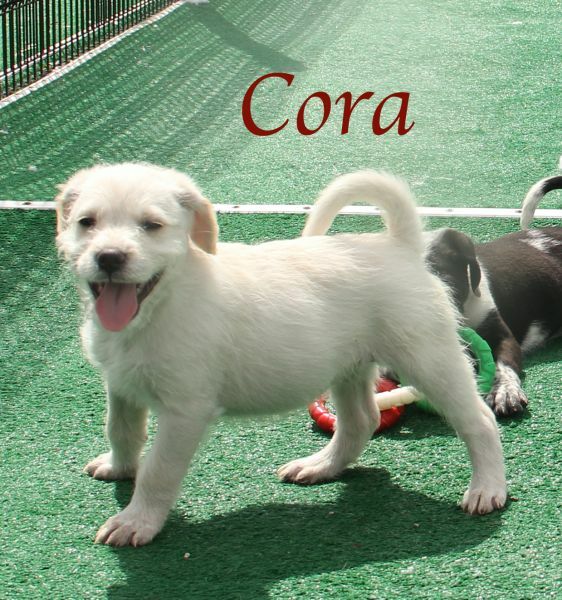 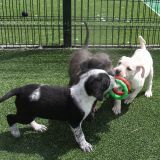 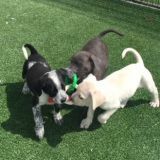 Cora is the fuzzy white puppy. 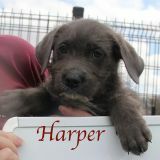 Harper is the fuzzy brown gal. 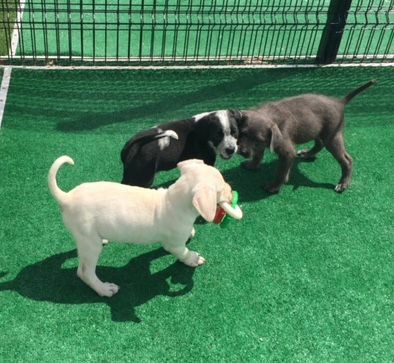 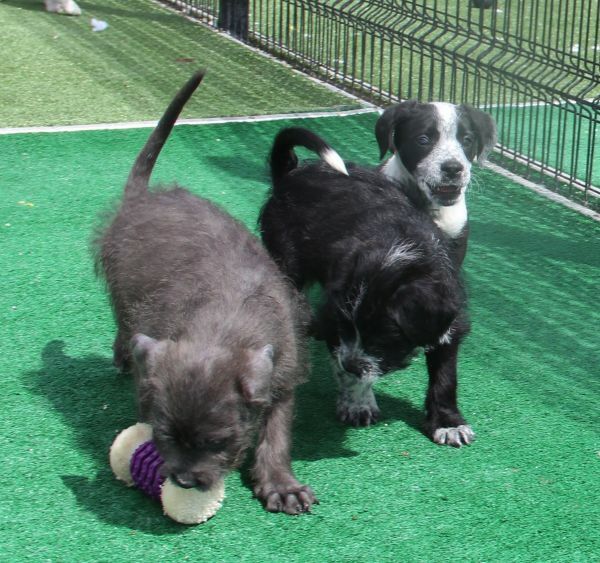 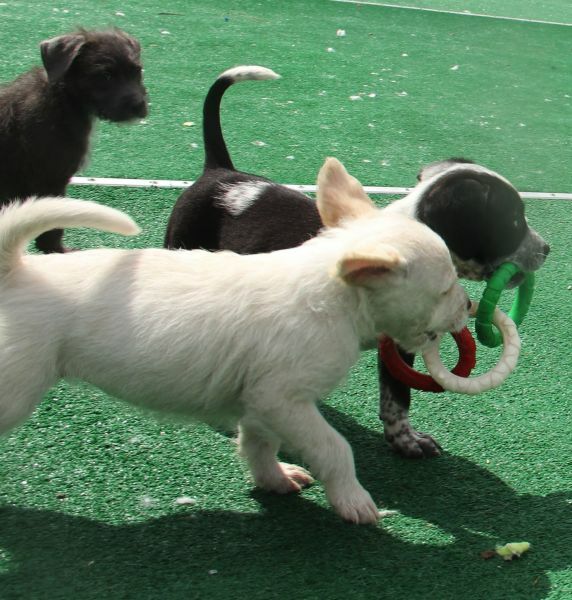 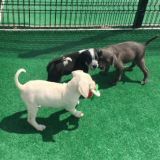 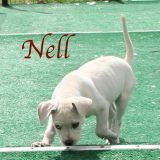 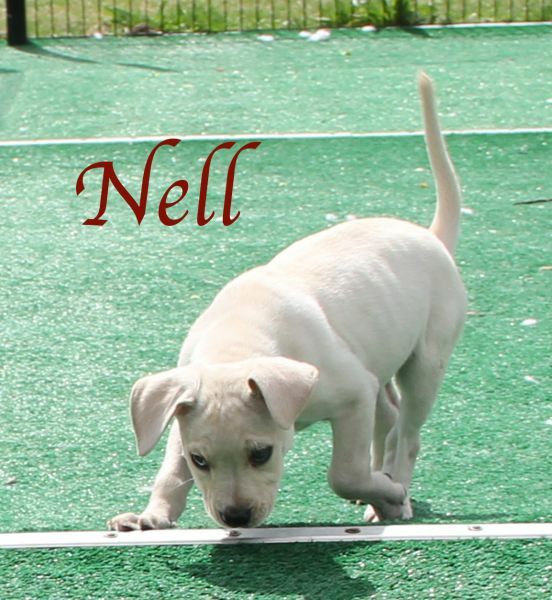 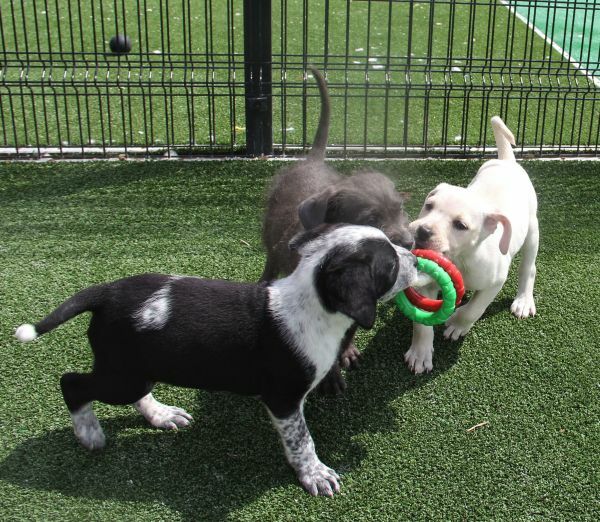 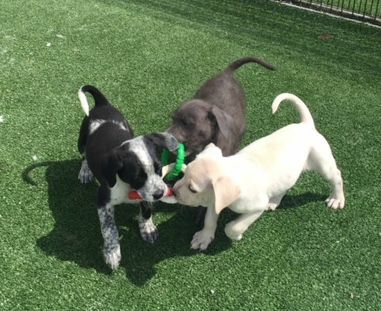 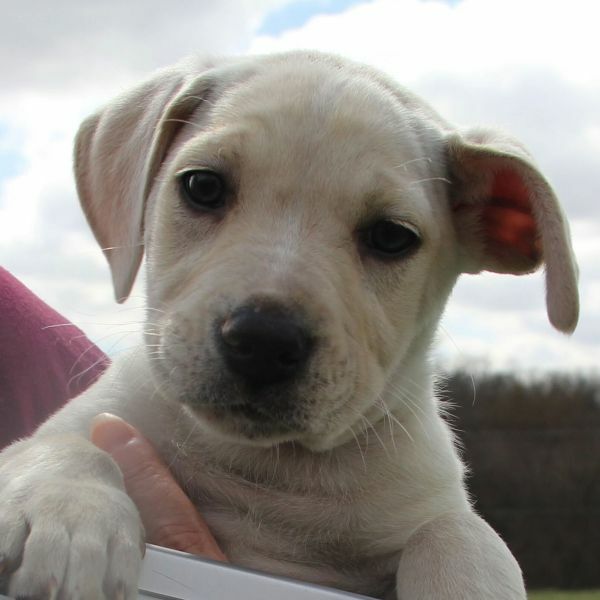 Nell is a smooth-coated white baby who resembles a Lab the most. 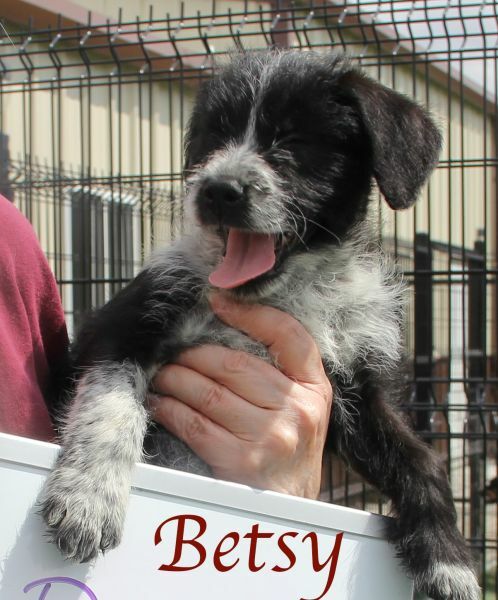 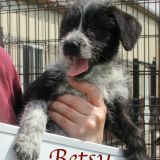 Betsy is black and white and fuzzy. 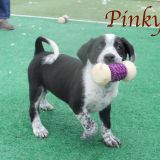 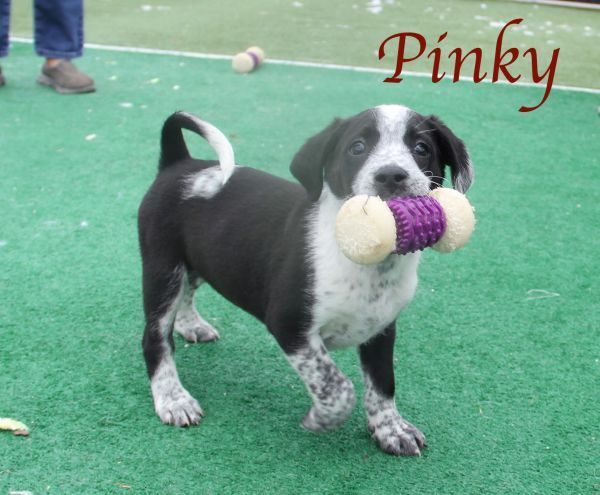 Pinky is black and white speckled and smooth coated.